David A. Haggerty will begin serving his two-year term on Jan. 1, 2013. The USTA Nominating Committee has announced the nomination of David A. Haggerty as USTA Chairman of the Board and President to serve a two-year term beginning January 1, 2013. Haggerty has served on the USTA Board of Directors for six years and is currently completing a two-year term as First Vice President. He is a member of the Budget, International, Major Construction Oversight and Compensation committees and represents the USTA on the Grand Slam Committee and the ITF Women’s Circuit Committee. He also is a member of the Board of Directors for USTA Serves. Prior to his appointment as president, Haggerty served as the Chair of the Strategic Planning Committee and as a member of the Compensation and Executive committees. Since 2007, he has served as a member of the Budget Committee. Haggerty also served for six years on the Board of Directors of the USTA Middle States Section, including two years as Vice President, and he served nationally as Chair of the USTA Section Marketing and Public Relations Committee in 2005-06 and Strategic Planning in 2009-10. Haggerty served a two-year term as President of the Tennis Industry Association from January 2007 to January 2009 and has served on the TIA’s Executive Committee for more than 20 years. Haggerty is the former Chairman of Head USA, a position he held until his retirement in March 2010. He began his career in tennis in 1980, when he was hired by Prince as Product Manager for accessories. In his 14 years at Prince, Haggerty worked his way up to General Manager before taking a position at Dunlop as President of Racquet Sports. 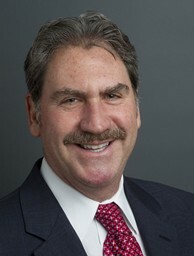 He moved to Head in 1998, where he served as General Manager and President of Head/Penn Racquet Sports before becoming Chairman and Chief Executive Officer of Head’s U.S. businesses. He currently serves as an External Director on the board of directors for Kepner-Tregoe, a global management consulting company that focuses on improving the business performance of clients worldwide using proven management methods. He has been nominated as a Board member of the International Tennis Hall of Fame beginning in 2013. Haggerty began playing tennis at age 6, was a nationally ranked junior at Pennsbury High School in Fairless Hills, Pa., and was the No. 1 singles player and captain for three of his four years at George Washington University, where he earned his bachelor’s degree in business administration. Still an active player, Haggerty in 2004-05 was nationally ranked in singles and doubles in the 45-and-over age division. Haggerty has been inducted into the Pennsbury High School Athletic Hall of Fame, The George Washington University Athletic Hall of Fame and the USTA Middle States and Mercer County Tennis Halls of Fame. In addition, he was named the 2008 Person of the Year by Racquet Sports Industry magazine. Haggerty has five children and lives in Pennington, N.J. He resides in the USTA Middle States Section. Katrina M. Adams, of White Plains, N.Y., and USTA Eastern, is currently a Vice President on the USTA Board of Directors and has been nominated as First Vice President. In addition to her role on the board, Adams works as a television analyst for Tennis Channel and is event-contracted at the Big Ten Network and CBS Sports Network. She also serves as Executive Director of the Harlem Junior Tennis and Education Program in New York City. Adams played on the WTA Tour for 12 years and achieved a career-high doubles ranking of No. 8 in 1989. In 2008, she was inducted into the Chicago District Tennis Association Hall of Fame. She was a USTA National Coach and served on the WTA Tour’s Executive Committee, Anti-Doping Committee, Player’s Committee and Special Olympics Committee. She serves as a member of the Budget Committee and also is a member of the Board of Directors of USTA Serves. Donald L. Tisdel, of Lake Oswego, Ore., and USTA Pacific Northwest, is currently the Secretary-Treasurer of the USTA Board of Directors and has been nominated for a first term as Vice President. He is Chair of the Budget Committee and a member of the Audit, Compensation and Investment Committees and also is a member of the Board of Directors of USTA Serves. He currently serves as the Senior Operating Partner of Northwest Capital Appreciation, Inc., a private equity firm he co-founded. Under Tisdel’s direction, Northwest Capital formed two private equity partnerships that control four diverse companies with aggregate revenues exceeding $5 billion and a work force of approximately 2,300 employees. Tisdel has been an active tournament player for more than 60 years and continues to compete in two separate age-bracket categories. Thomas S. Ho, of Houston and USTA Texas, who previously served on the USTA Board of Directors as Director at Large from 2009-10, has been nominated as Vice President. At 15 years of age, Ho was the youngest men’s player ever to compete at the US Open. After a nine-year career, he was forced to retire in 1997 due to chronic back injuries. Ho achieved a career-high ranking of No. 85 in singles and No. 13 in doubles and won four doubles titles during his career. He reached the third round in singles at the US Open in 1992 and reached the semifinals in doubles at Roland Garros in 1995. Following his playing career, Ho worked as a financial analyst at Goldman Sachs and as a financial advisor at UBS Wealth Management. He then worked as a Senior Associate at Korn/Ferry International, before taking his current position as an Associate Principal in Heidrick & Struggles’ Houston office as a member of the Financial Services and Global Sport Leadership Advisory Group practices. Patrick J. Galbraith, of Bainbridge Island, Wash., and USTA Pacific Northwest, is nominated for a first term as Secretary-Treasurer and is completing his third term as an Elite Athlete and a Director at Large of the USTA Board of Directors. He served his first term as Vice Chair of the Budget Committee and a second term as Vice Chair of the Investment Committee. A professional tennis player from 1989-2000, Galbraith is a two-time winner of the US Open Mixed Doubles Championship. He ended 1993 as part of the No. 1-ranked men’s doubles team with partner Grant Connell and went on to win the World Doubles Championship in 1995. Galbraith, a member of the 1996 Davis Cup team, finished his career with 36 doubles titles. He is currently Vice President - Investments for UBS Financial Service, Inc.
Alexander Boyd Andrews IV, of Raleigh, N.C., and USTA Southern, is nominated for his first term as Director at Large of the USTA Board of Directors. Andrews oversees development, acquisitions, strategic planning, construction and financing of eco-friendly commercial and residential projects throughout North Carolina, Virginia and South Carolina. Before entering the real estate field, Andrews played on the World Professional Tennis Tour (ATP) for five years, winning over 19 professional titles and reaching the doubles semifinals at the US Open and the doubles final of the Australian Open. He was a USTA Southern section Delegate at Large, Secretary of the Board of Directors USTA Southern Section and a current member of the USTA Junior Competition and the USTA Collegiate Varsity Committees. Joan E. Baker, of Shorewood, Minn., and USTA Northern, is nominated for her first term as Director at Large of the USTA Board of Directors. Baker was the founder and President of Advantage Benefits, Inc., an employee benefits company working with small- to medium-sized companies to create maximum benefits for employees while containing cost. She is managing partner of R and J Baker LLLP, a family investment partnership. She is a long-time player and tennis volunteer on both a local and national level. She has served as the Chair of the USTA National Nominating Committee and currently serves as Council Chair to the Youth Growth Counsel. Baker has served on numerous USTA National committees, including two terms on the USTA Strategic Planning Committee. She also served as Vice Chair of the President's Committee, Delegates Committee and Finance, Audit and Evaluations Committee. She also was a member of the USTA Northern Section Board of Directors before serving as Treasurer in 2001-02, President in 2003-04 and Section Delegate in 2005-06. Raymond Benton, of Washington, D.C., and USTA Mid-Atlantic, is nominated for his first term as Director at Large of the USTA Board of Directors. Benton was involved with a number of grass-roots initiatives before becoming the first National Executive Director of the National Junior Tennis League, where he led the organization’s growth from three to 50 chapters. Benton's career in professional sports began as a partner in the Washington, D.C.-based law firm Dell, Craighill, Fentress and Benton. The firm evolved into ProServ, one of the leading sports marketing companies in the world. In 2008, Benton became the CEO of the Tennis Center at College Park, home of the Junior Tennis Champions Center (JTCC), a USTA Regional Training Center. Mark D. Ein, of Washington, D.C., and USTA Mid-Atlantic, is nominated for his first term as Director at Large of the USTA Board of Directors. Ein is an investor, entrepreneur and philanthropist, who has successfully built a series of growth companies across a diverse set of industries. Ein is the Co-Chairman and Principal Shareholder of Kastle Systems, LLC, a provider of commercial office building managed security systems. In addition, he is the Vice-Chairman of Two Harbors Investment Corporation, a NYSE-listed (TWO) residential mortgage REIT. He currently serves on the board of MACH S.a.r.L, a financial clearinghouse for the mobile industry, and is Chairman of the Board of VSGi, a provider of videoconferencing solutions. Mr. Ein is also the founder and owner of the Washington Kastles, a World TeamTennis (WTT) franchise. Andrew A. Valdez, of Salt Lake City, Utah, and USTA Intermountain, is nominated for his second term as Director at Large of the USTA Board of Directors. The Honorable Valdez currently presides over the Utah State Juvenile Court, where he has been a juvenile court judge for 16 years. He is a member of the USTA Intermountain Board of Directors Executive Committee and is the recipient of numerous awards and recognitions. Valdez also authored a memoir, "No One Makes It Alone," that chronicles how the sport of tennis and acts of kindness enabled him to overcome the poverty and struggles of his childhood. Jeff Williams, of New York and USTA Eastern, is nominated for his first term as Director at Large of the USTA Board of Directors. Williams serves as the Group Publisher for the Tennis Media Company, whose properties include Tennis Magazine, Tennis.com and Tennis 15/30, a new digital communication platform created in 2012. He also is the owner/publisher/editor of Racquet Sports Industry. He is president of the USTA Eastern Board of Directors and has served on that board since 2009. Williams served on the USTA Nominating Committee from 2007–10, as well as on the USTA Publications Committee from 2003-06, and currently is a member of the Tennis Industry Association’s Board of Directors, a position he has held since 1990. Todd Martin, of Ponte Verde Beach, Fla., and USTA Florida, is nominated for his first full term as Elite Athlete and Director at Large of the USTA Board of Directors. He currently is completing his role in this same position after being appointed to the USTA Board of Directors in October 2011. Martin is the Board Liaison to the Pro Tennis Council and a member of the USTA Davis Cup, Fed Cup, Olympic and Paralympic Committee. A former professional player, Martin achieved a career-best ranking of No. 4 in the world and reached the final of the 1999 US Open and the 1994 Australian Open. In his career, Martin won eight singles titles and five doubles titles and was President of the ATP Players Council for eight of the 14 years he played professionally. Martin also was a mainstay of the U.S. Davis Cup team and helped the team win the Davis Cup championship in 1995. He also represented the U.S. at the Olympic Games in Sydney, Australia, in 2000. Chanda Rubin, of Lafayette, La., and USTA Southern, is nominated for her second term as an Elite Athlete and a Director at Large of the USTA Board of Directors. She is the Board Liaison to the Player Development Council and a member of the Budget Committee. Rubin, a former professional tennis player who reached a career-high ranking of No. 5 in the world, competed on the U.S. Olympic Team, the U.S. Pan-American Team and on the U.S. Fed Cup team. She won seven WTA Tour singles titles and 10 doubles titles, including the 1996 Australian Open Doubles title with Arantxa Sanchez-Vicario. She was a trustee of the Southern Tennis Patron’s Foundation and a 2009 inductee into the USTA Southern Tennis Hall of Fame. Brian Vahaly, of Washington, D.C., and USTA Mid-Atlantic, is nominated for his first term as an Elite Athlete and a Director at Large of the USTA Board of Directors. He is currently CEO of HADPRO, LLC – a portfolio company of the private equity fund, McLean Capital in Washington, D.C. He is one of three elite athletes on the USTA Board of Directors, having played professionally for seven years, reaching a career-high ATP World Tour ranking of No. 64 in 2003 and winning 10 singles titles on the USTA Pro Circuit and ITF Circuit. A member of the 1997 U.S. National Team, Vahaly was an All-American at the University of Virginia in 1999, 2000 and 2001 and was runner-up at the NCAA singles champion as a senior, leaving the school as the Cavaliers’ all-time winningest player and graduating with a double major in finance and marketing. In 2003, he founded the Brian Vahaly Brighter Future Foundation, dedicated to promoting community service through tennis. Current USTA Chairman of the Board and President Jon Vegosen will remain on the USTA Board of Directors and will serve as Immediate Past President during the 2013-14 term.